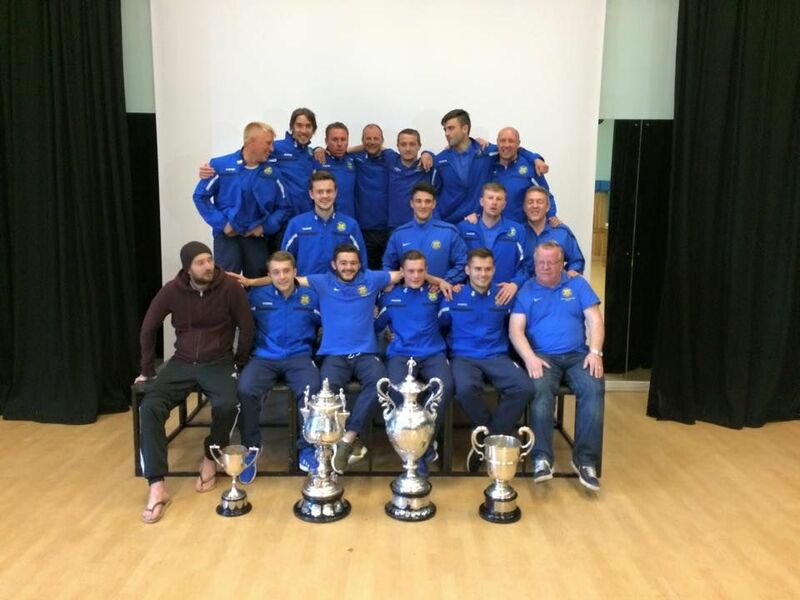 Stockton Town went into the record books with victory in the Wearside League Cup, to claim all 4 Trophy’s as members of the Wearside League, the League Championship, Shipowners Cup, Monkwearmouth Cup and the League Cup. The squad pictured with all 4 Trophy’s after yesterdays League Cup victory. This feat has only ever been achieved 4 times over the long history of the Wearside League that stretches back 125 years, as remarkable achievement for our Club. 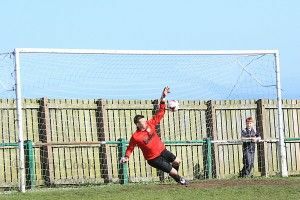 Yesterdays victory was clinched in dramatic fashion, after 120 minutes of action the tie finish 1 1, Stockton took the lead on 47 minutes through Kallum Hannah but Easington managed an equaliser on 60 minutes to take the tie to extra time. The extra period could not split the teams so to penalties. Stockton missed their 1st but Michael Arthur in Stocktons goal produced a great save to keep Stockton level. Both teams scored with their second attempts before Stockton again missed while Easington scored to go 2 1 up after 3 penalties each. Up stepped Max Craggs to rifle an unstoppable penalty before Stockton’s keeper Michael Arthur again kept out Easingtons kick. All down to the final kicks, Jimmy Ward scored for Stockton and once again Michael Arthur went to his left to save yet again to claim the Cup for Stockton. 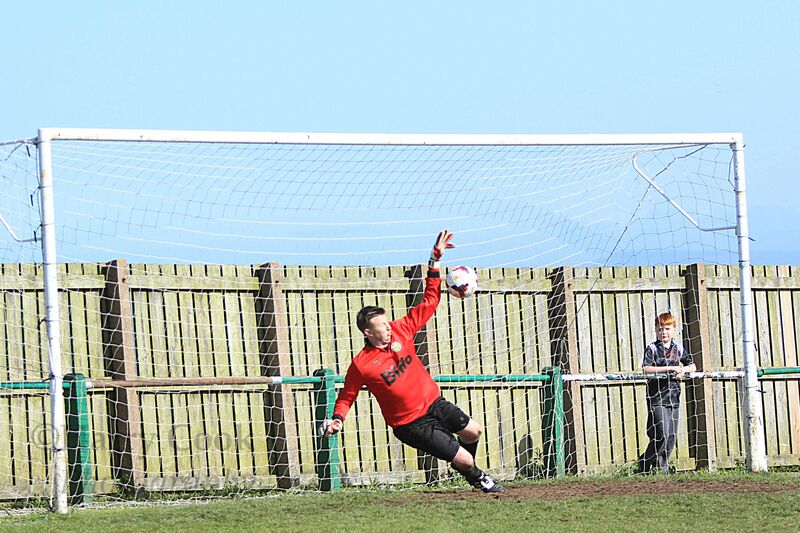 Michael Arthur saving Easington’s 1st penalty kick. 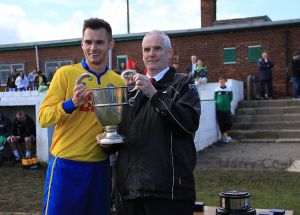 Key wild celebrations and the knowledge that we have written our name into the long history of the Wearside League. 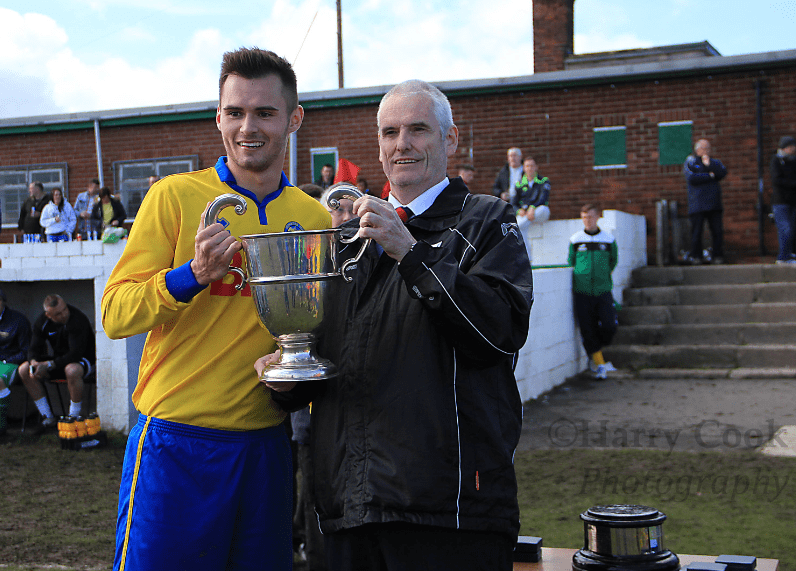 Captain Adam Nicholson receives the Wearside League Cup from League Secretary Kevin Harrison.